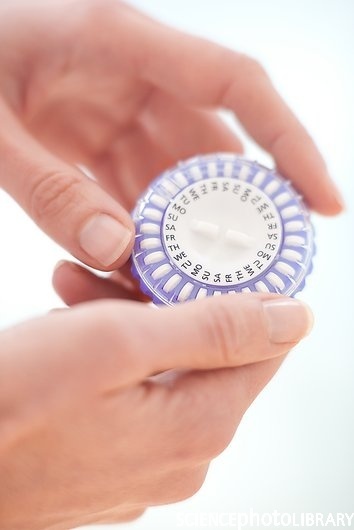 The recent New York Times article (click here) regarding the Million Women Study and hormone replacement therapy (HRT) adds another layer of confusion for women. I would like to provide some clarification by looking at the medical literature and analyzing what it shows. 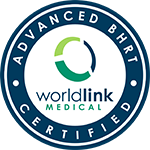 The medical literature and many analysts do not distinguish between synthetic and bio identical hormones. They are not biochemically the same and have different effects on the body, which has been documented in many studies. Premarin is a synthetic equillin estradiol made from pregnant mares’ urine. Estrace, topical estradiol systems, and compounded estradiol are made from soy and are biochemically identical to the main estrogen, estradiol, which is made by your body. Provera is a progestin and is completely different from progesterone, which is also made from soy and is bio identical to the hormone in your body. Doctors unfamiliar with bio identical hormones frequently refer to these interchangeably in the medical literature. In 2005, cardiovascular disease (CVD) claimed the lives of 454,613 females; cancer (all forms combined) claimed 268,890 lives. In 2005, coronary heart disease claimed the lives of 213,572 females compared with 41,116 lives from breast cancer and 67,894 from lung cancer. We should be far more concerned about the cardiovascular risks for women than the risk for breast cancer. We should be having walks with red ribbons for all the women that die every year from stroke and heart disease. The Women’s Health Initiative (WHI) Trial JAMA 2002 – Premarin + Provera showed an increased risk for breast cancer and cardiovascular disease (this was in older women and most dangerous in women with known cardiovascular disease) with a decrease in colon cancer, fracture and an OVERALL DECREASE in mortality. Estrogen plus Provera has consistently shown to increase the risk for breast cancer. Provera is NOT progesterone. From the Million Women Study, we know that estrogen alone (synthetic, oral, or transdermal) slightly increased the risk of breast cancer and estrogen plus progestin (Provera or medroxyprogesterone) substantially increased the risk for breast cancer. PROGESTERONE was not used in this study. Foournier, 2004 Intl J Cancer had 29,420 postmenopausal women in the study. They all were on transdermal estradiol and got either oral progestin or micronized bio identical progesterone. Again, there was an increased risk for breast cancer in the progestin group and a slight protective effect in the oral micronized progesterone group (0.9 relative risk). The Nurses Health Study NEJM 1991 is a 10-year study that followed 48,470 postmenopausal women on HRT. There was an overall reduction in all cause mortality of 0.81 (1.0 being the norm). For cardiovascular mortality it was 0.68. In this study, 71.5% took unopposed premarin or other conjugated estradiol (no progestin or progesterone), 11.5% took other estrogens and only 2.7% took estrogen with a progestin. The age adjusted relative risk of major coronary disease with unopposed oral conjugated estrogen was 0.40. When the WHI was published, this study was discounted because of the increased risk of cardiovascular events, but subsequent analysis showed that it was only women who had existing CVD that were at risk and the risk was greatest with oral estrogen and Provera. Estradiol alone was protective for CVD. Hormone replacement therapy has countless benefits to women in preventing the ravages of aging including decreasing the risks for cardiovascular disease, preventing and treating osteoporosis, preventing vaginal atrophy, loss of teeth, Alzheimer’s disease, macular degeneration and cataracts, decreased wrinkles, decreasing the risk for colorectal cancer, and on and on and on. Hormone replacement therapy decreases OVERALL MORTALITY and morbidity in women by almost 50%. Estradiol should always be given with progesterone and topical testosterone , which negates the increase in risk for breast cancer. 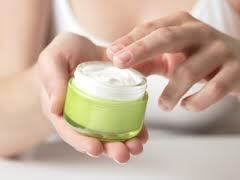 The best outcomes are when all the hormonal deficiencies that occur with aging are addressed. Only bio identical hormones should be used in treatment and the route of administration also matters in efficacy, risk and benefit. Regarding the Million Women study, they still used the wrong hormones (Premarin and Provera). When you take synthetic hormones, it is not the age you begin them but the fact that synthetic hormones are not safe that is the problem. “How to Achieve Healthy Aging”, by Neal Rouzier, MD is an excellent source for more information and an exhaustive list of medical articles supporting the benefits of hormone replacement therapy. I am an internist, trained and experienced in Western Medicine, who believes that illness and disease are best treated by working to discover their underlying causes. Come to me for bioidentical hormones, advice on healthy aging, and whole-body medicine. Controversy exists around topical vs oral estradiol. The answer to your question is, “It depends.” Oral estradiol is most beneficial in preventing heart disease with a few caveats. If a woman had existing cardiovascular disease (CVD), giving her oral estrogen can precipitate plaque rupture. So if a woman is older than 60 and/or I think she may be at risk for CVD, I will choose transdermal estradiol. If she is perimenopausal or newly menopausal, or has been on hormone therapy and unlikely to have CVD, I will recommend oral estradiol as studies show that oral estradiol, through its effect on the lipid profile, is the most protective against CVD which remains the #1 killer of women resulting in over 200,000 deaths a year. All women should receive oral or sublingual progesterone to achieve adequate levels to provide endometrial and breast protection. Testosterne should be given transdermally, injected, or sublingual, but not oral as it can be liver toxic. Thank you very much for this very informative reply! I am almost (January 28th) 54 years old and stopped having periods altogether when I was 50. I have no signs or symptoms of CVD (had a normal stress test ,at my request, at age 50). I do, however, have a history of heart disease in my family because my father had a heart attack at age 39, although he is the only person. I realize that you are not my physician, and promise not to continue to ask questions, but wonder if you have patients who describe the problem that I have with transdermal estradiol and if you have seen a difference in changing to oral when appropriate? I am also wondering why you might prescribe sublingual rather than oral progesterone, as I tend to be very sensitive to oral in feeling depressed and fatigued at doses over 50mg. Dr Nunley, Do you prescribe oral estradiol? I have never had any luck with supplementing bioidentical hormones, but I continue to try! Each doctor that I have seen insists that I use estradiol transdermally, progesterone either orally or transdermally (have tried both) and testosterone transdermally. I always feel that the transdermal estradiol is a problem. I feel bloated and start gaining weight without feeling any of the mental/ physical benefits. I have used from .25 to 1mg estradiol transdermally. Many of my friends use oral estradiol. My question is: Is there harm in trying oral estradiol? One has to look at a person’s history and physical exam and then decide which form of estrogen is best. Some prefer transdermal and some prefer oral estradiol. Sublingual progesterone gets good blood levels without the sedating side effects of progesterone. Thank you! This is very helpful information. I am in SC but have a friend near San Francisco who has made an appointment with you. She is the one who sent me your website information. I am glad that I read it and signed up for your newsletter. I have a feeling that my friend will be in good hands. Thanks again for your valuable time and helpful information!